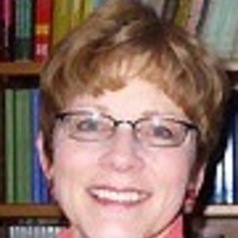 Professor Evans received her Ph.D. from the University of Rochester in 1980. Her research interests are in the U.S. Congress, with a focus on pork barrel politics within Congress itself and congressional elections. Her book, Greasing the Wheels: Using Pork Barrel Projects to Build Majority Coalitions in Congress, won the won the American Political Science Association’s 2005 Richard F. Fenno Prize for best book in legislative politics. Her current research is on the effect of pork barrel projects on congressional elections. In her courses, Professor Evans focuses on both real-world American politics and the theoretical tools to help students see patterns in complex political processes. Analysis of politicians’ strategic behavior within American political institutions is central to her courses in American Political Parties and Congress. She is also Director of the Trinity College Legislative Internship Program, which sends students to the Connecticut General Assembly each spring to work with legislators. In this exciting program, students complement their classroom learning with direct experience in politics, policymaking, and governance.